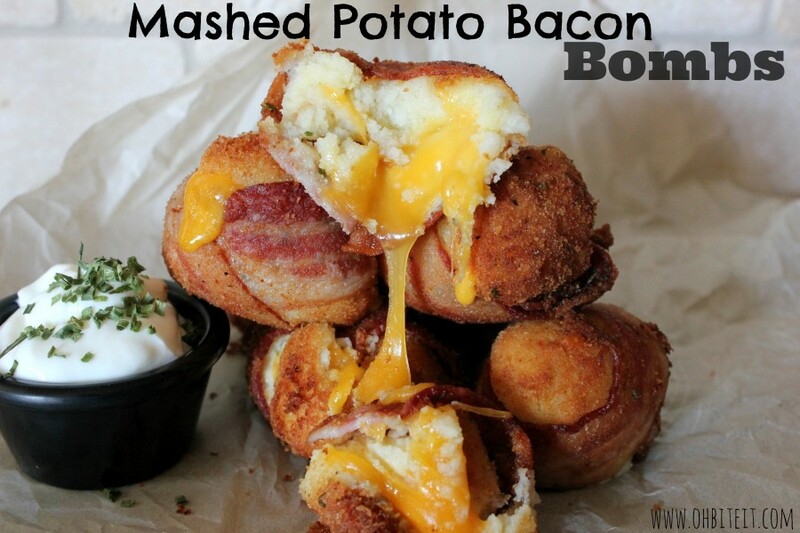 So there I was, with like 50 pounds of Mashed Potatoes left over from a family dinner. 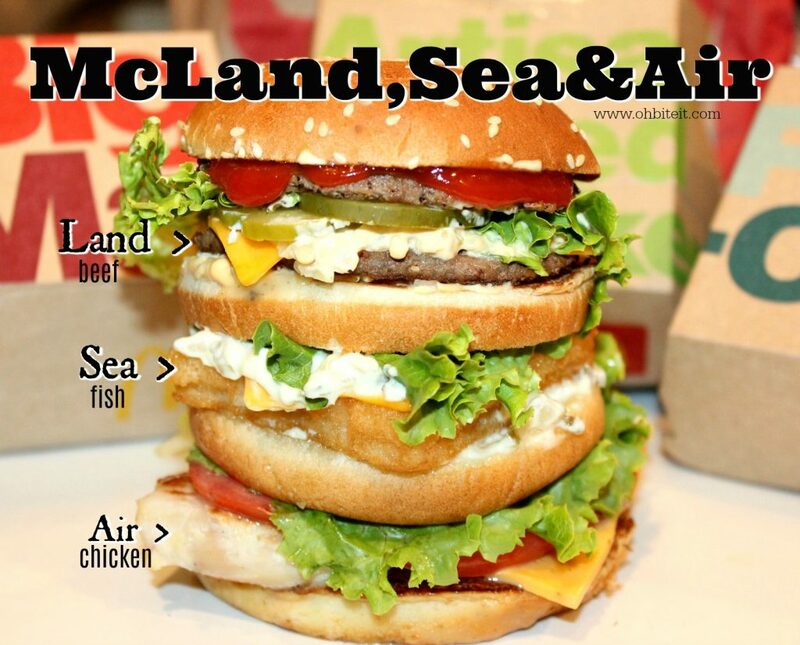 Okay, maybe it wasn’t quite 50 pounds, but pretty darn close…lol! 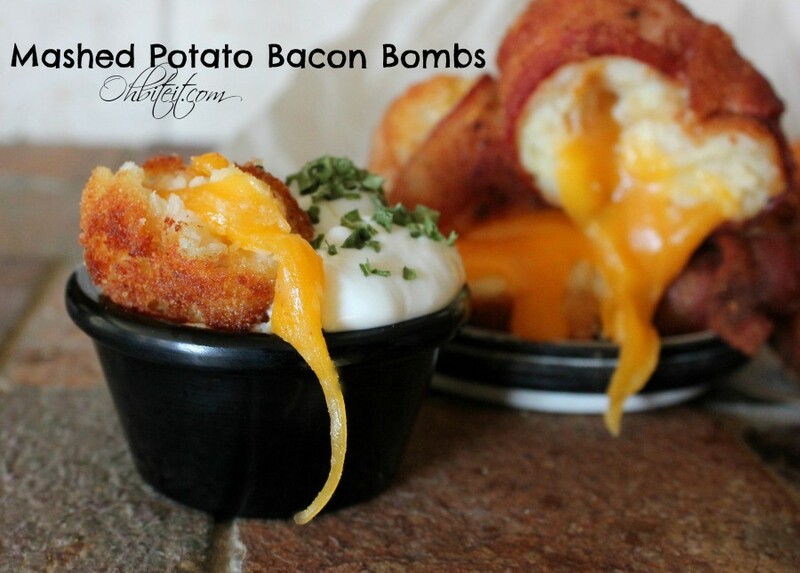 I just couldn’t throw them away, so I needed to find a new and delicious way to use them up that didn’t include any of the boring typical inter-web, leftover mashed potato ideas…lol! 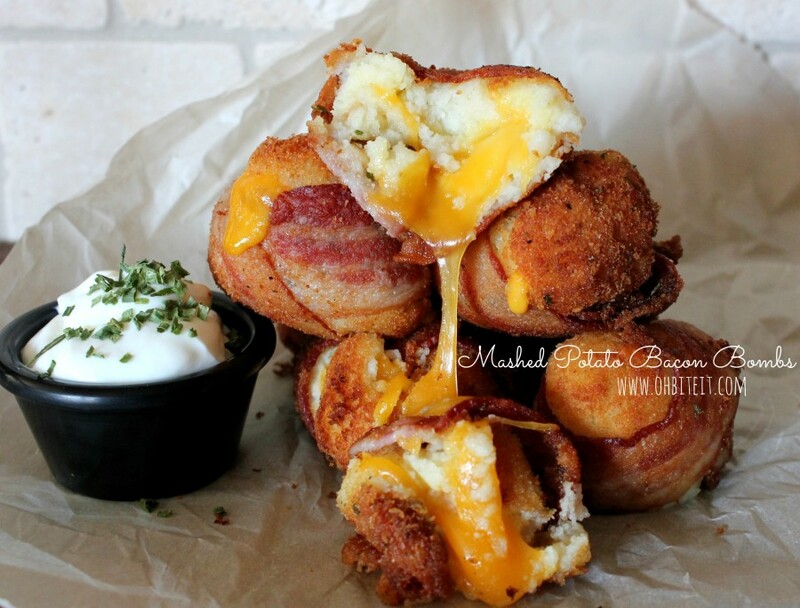 Here’s what I came up with~ A creamy, gooey, cheese-stuffed, deep fried Mashed Potato Ball, coated in nutty Bread Crumbs and crispy, salty, Bacon! 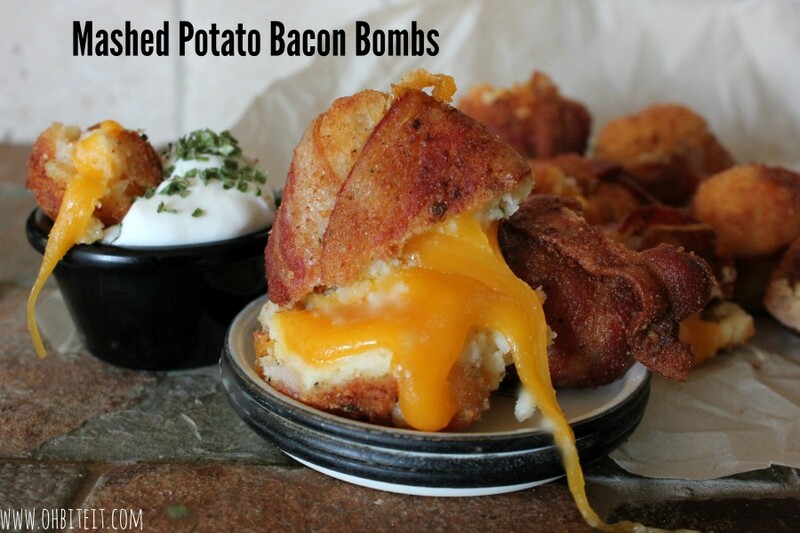 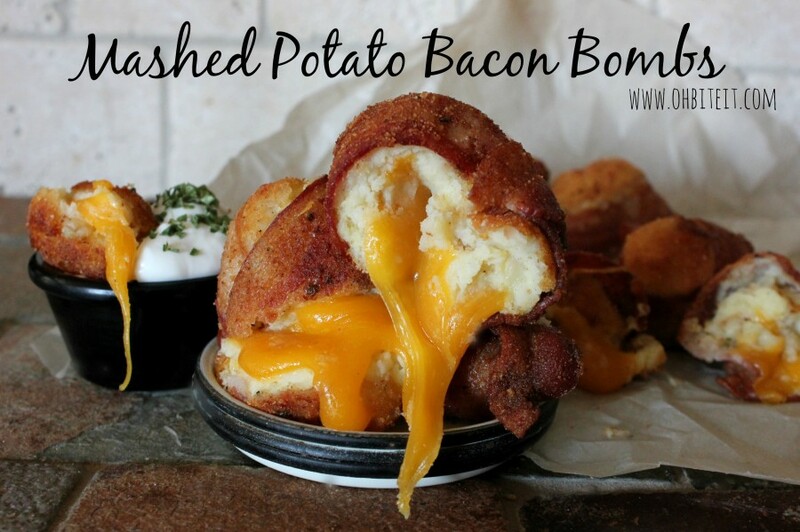 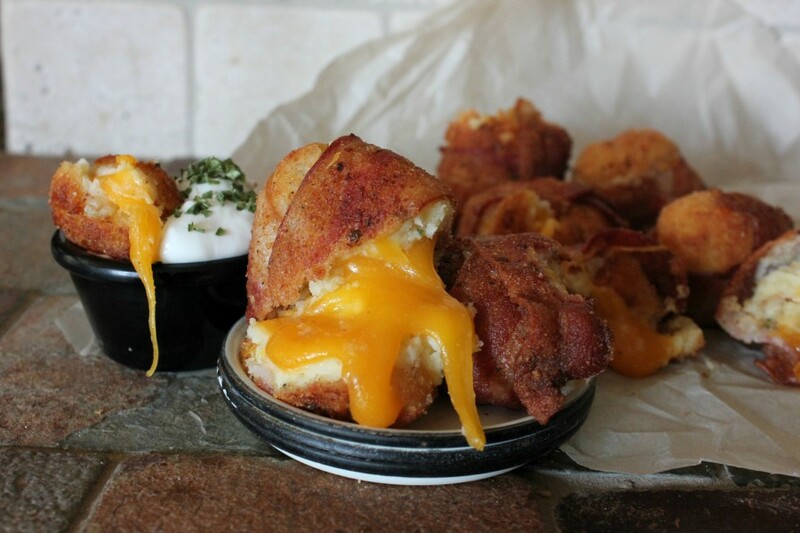 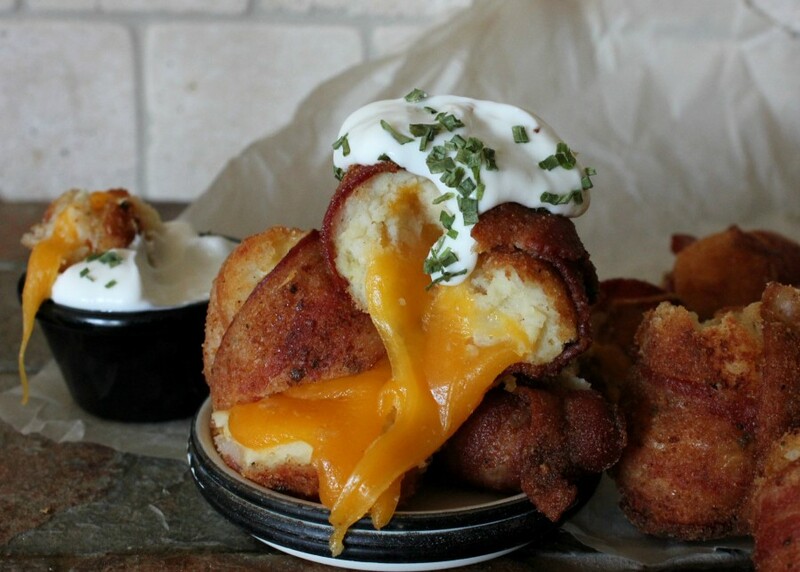 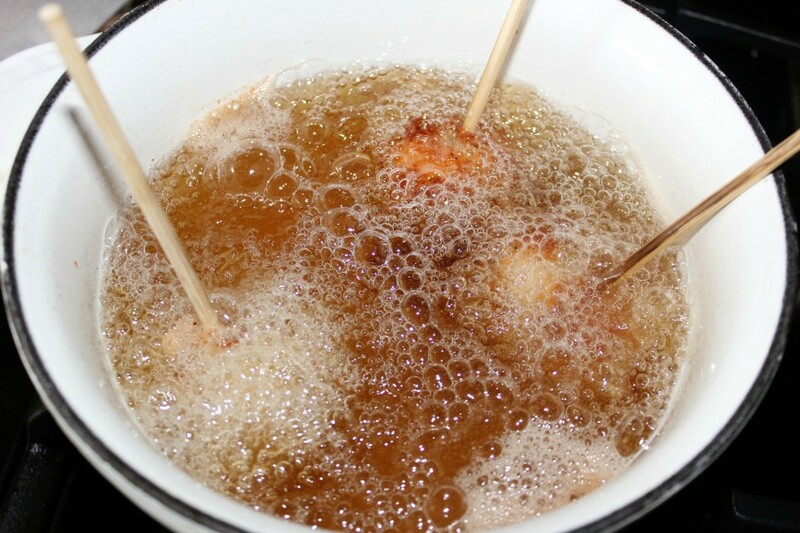 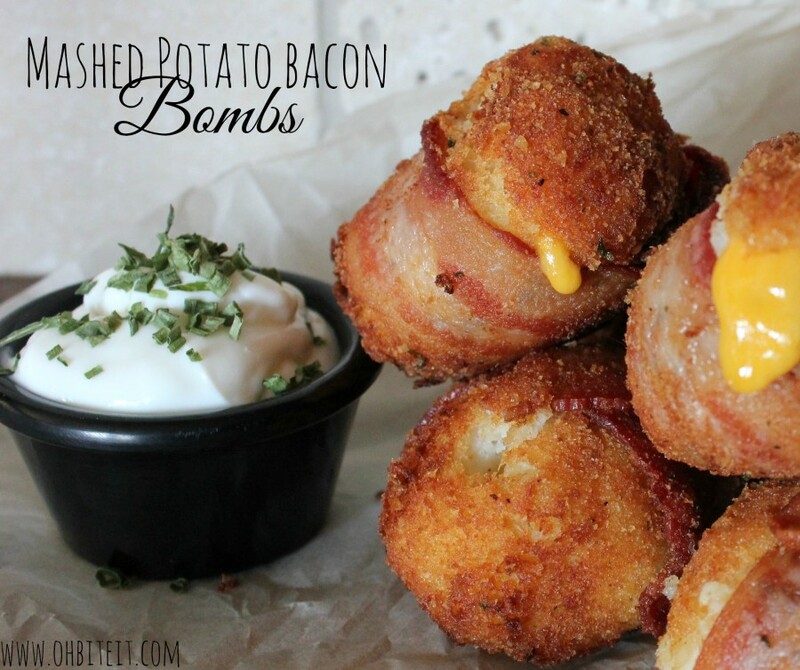 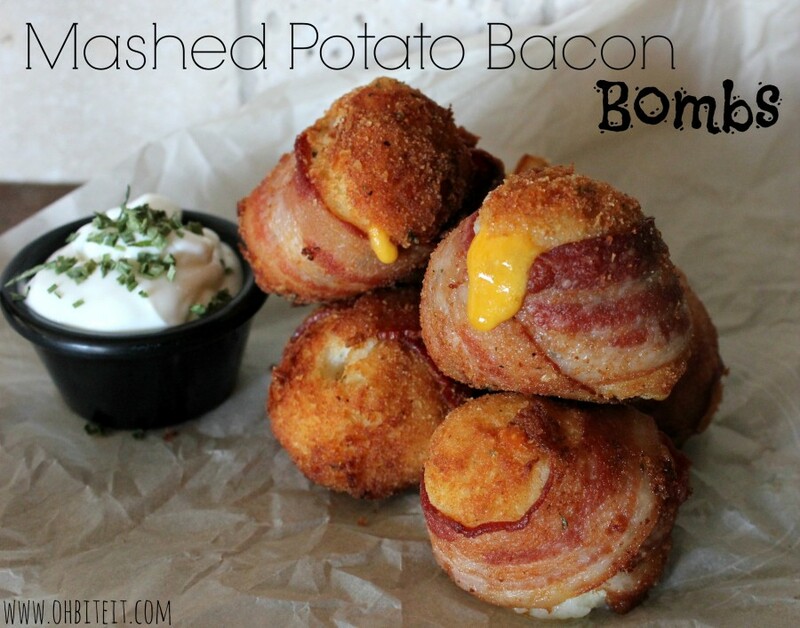 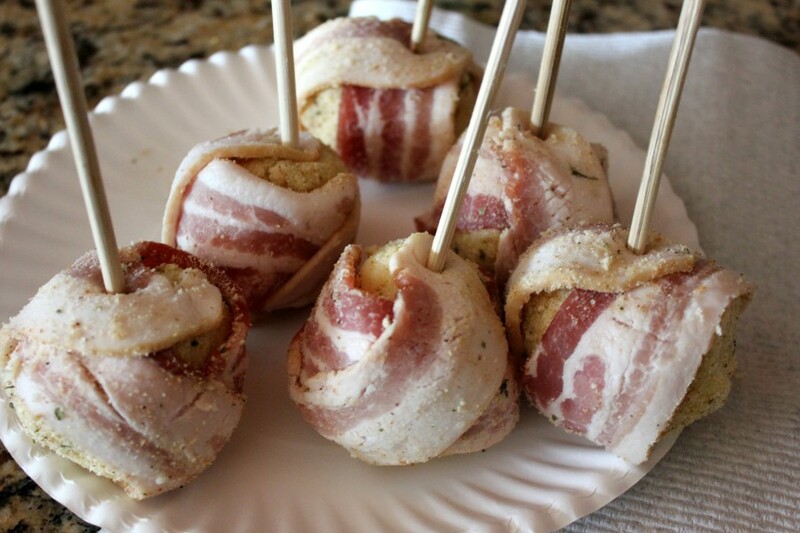 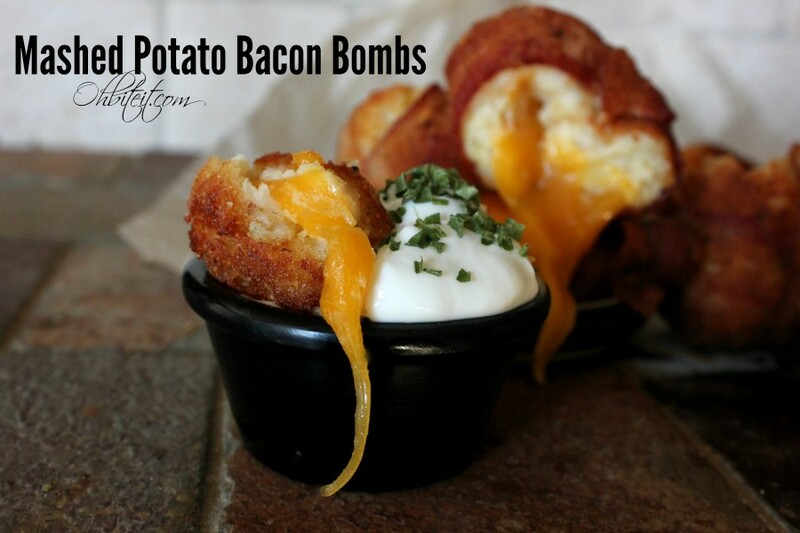 ~Each Potato ball explodes with cheesy goodness.. with every bite through that crisp, bacon shell! 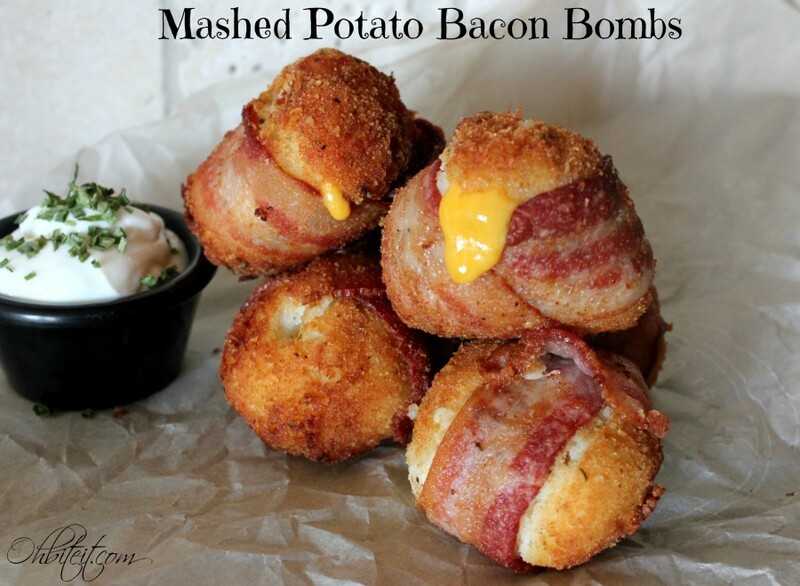 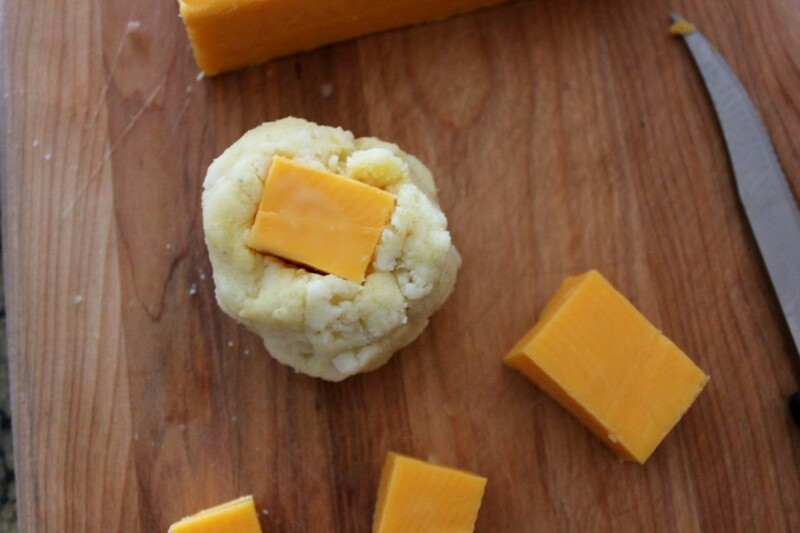 ~These are So good, it’s worth making some mashed potatoes, if you don’t have any just hanging around! 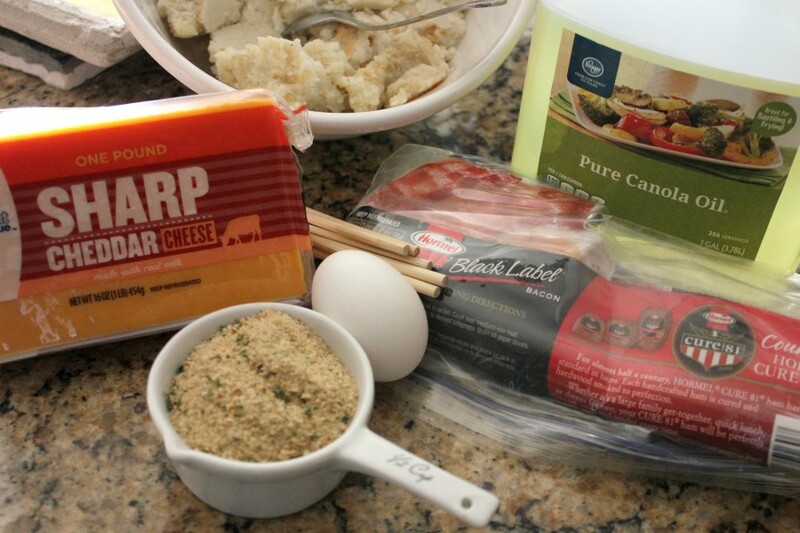 In a large bowl combine the Mashed Potatoes, Egg, and S&P until well blended. 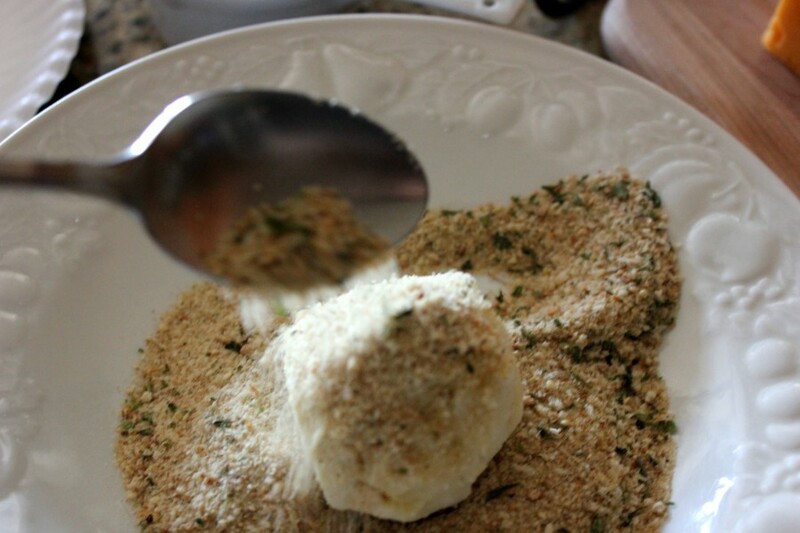 Place the Bread Crumbs into a shallow bowl, and roll that baby evenly in the Bread Crumbs…. 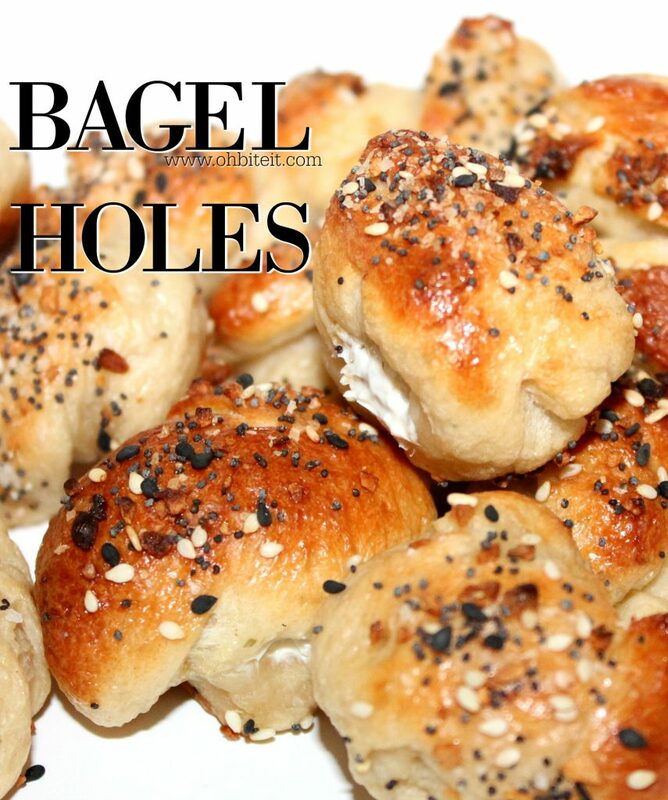 Let the drain on some paper towel . 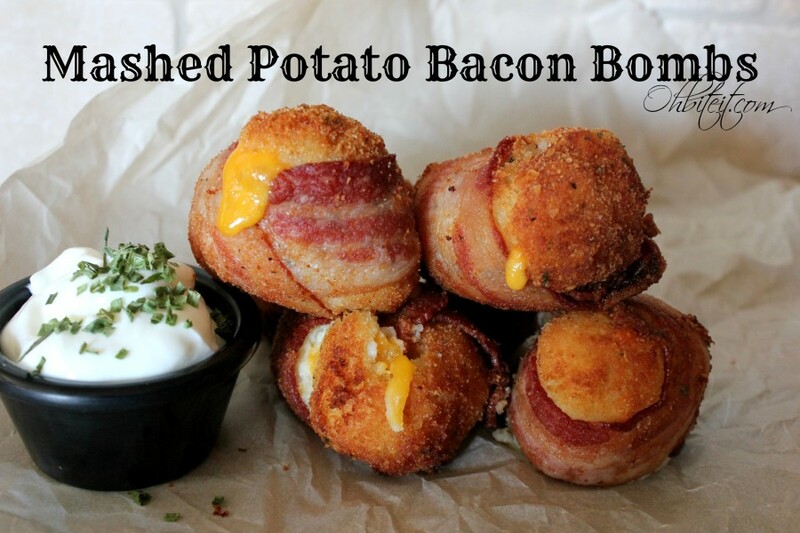 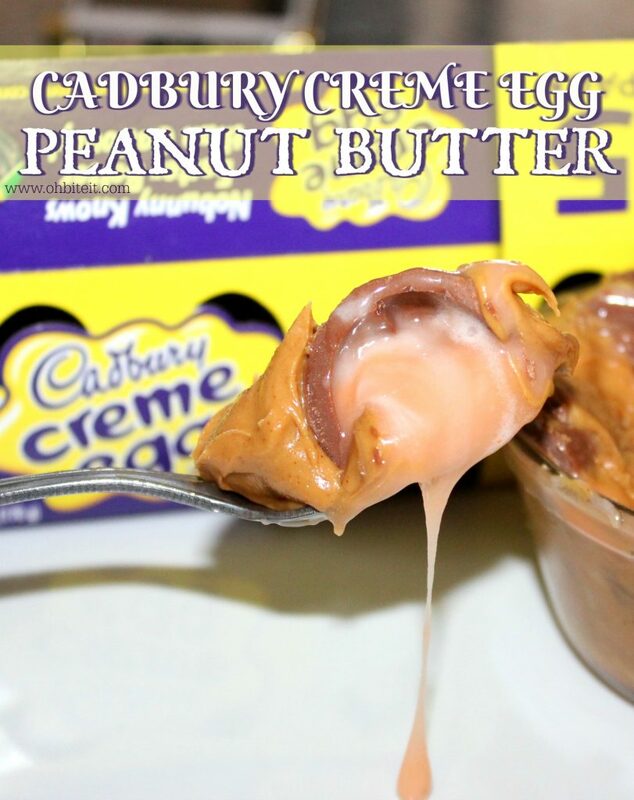 And share with YOU…with some Sour Cream of course!!! 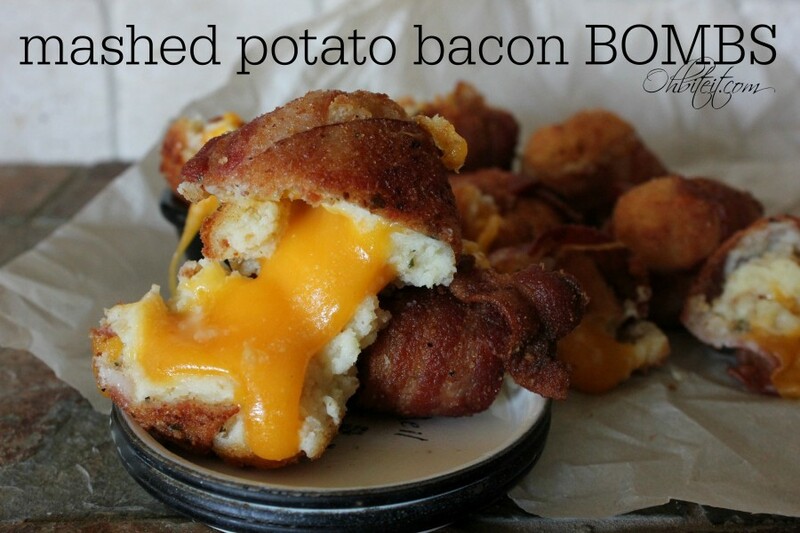 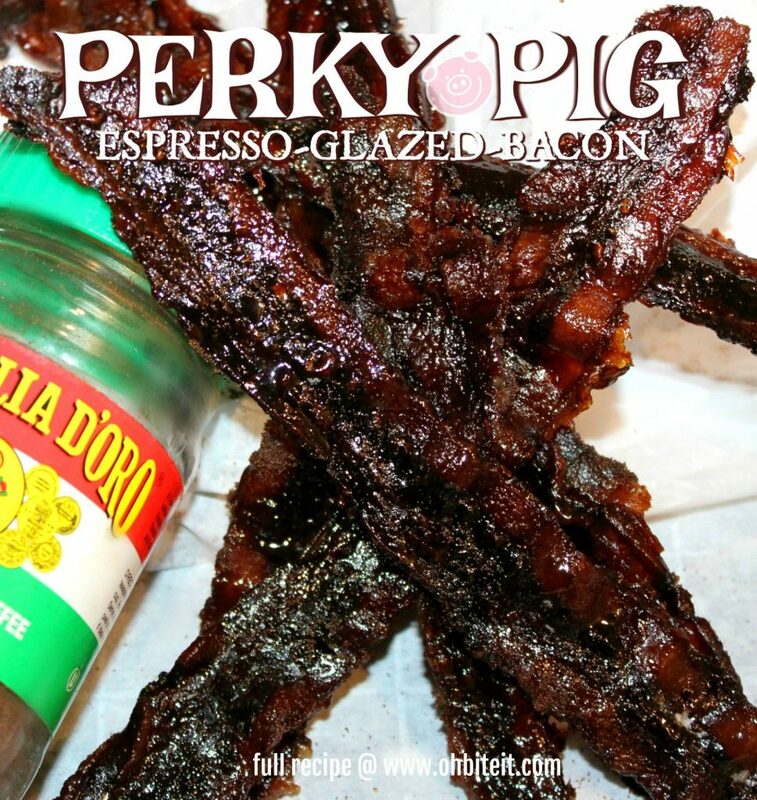 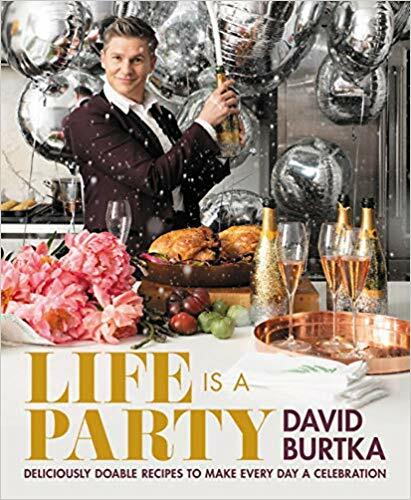 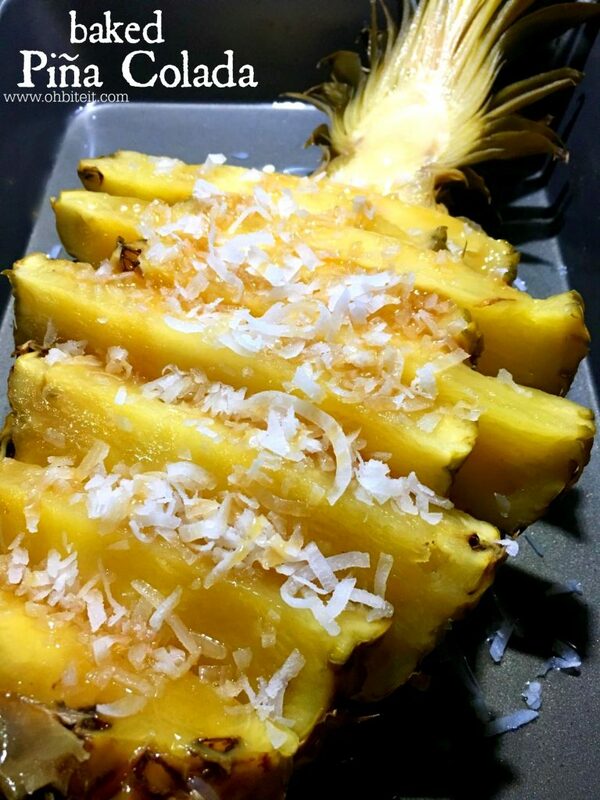 I’m always shocked when a recipe looks so good that immediately people want to change it?